In this webinar, Dr. Greg Williams, faculty member, instructional designer, eLearning developer, and consultant will guide you through activities that will help you build and use a career portfolio. Viewers will learn how to use their portfolio to get interviews, how to use their portfolio in interviews and how to get promotions and successful performance appraisals. Additionally, the session will show people how to create an electronic portfolio with minimal technical skills. Over the past couple of years, the term "Gamification" has become accepted in business and education and has opened the door for changing learning and performance through the use of games. 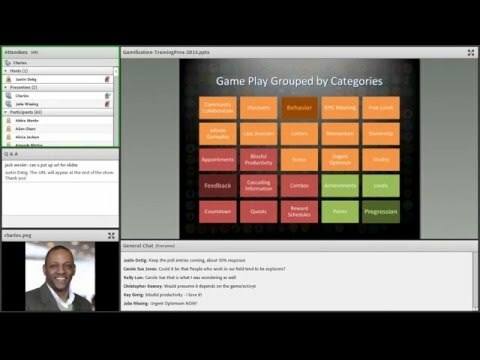 Join speaker Charles Palmer for this TrainingPros webinar session to learn more about examples of using Gamification in business and training and to practice applying game mechanics to your training and change management initiatives. 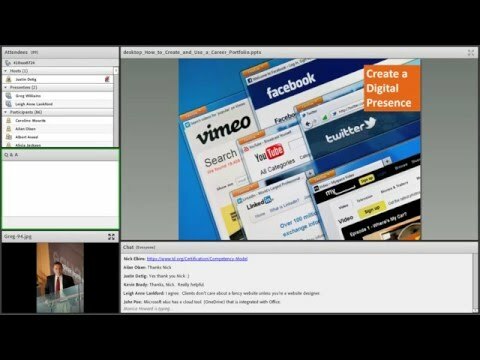 Is your organization leveraging social media as a learning tool? Or is social media off limits? Or perhaps you're not even sure what social media really is other than using Facebook and Twitter! 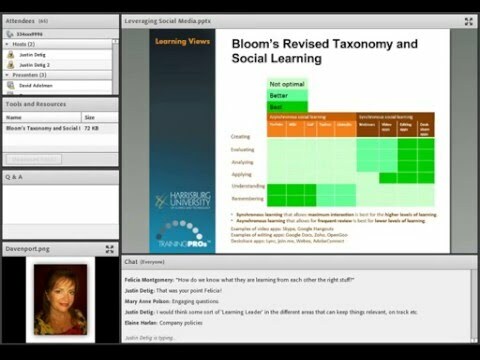 In this webinar, Leveraging Social Media as an Organizational Learning Tool, speaker Teresa Davenport will explore social media as a vehicle for knowledge distribution, and put YOU in the driver's seat! 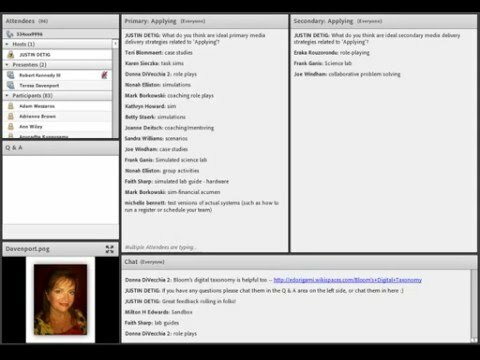 We've all experienced them as attendees; the good, the bad, the ugly webinars. 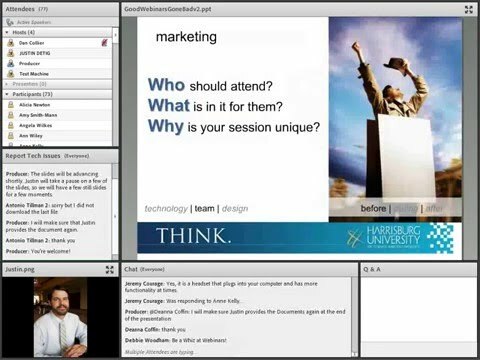 But, what makes a good webinar good and bad webinar bad? The presenter and the presentation material are a key to the experience, but so are many other little details. Join this online session to explore many of the before-during-and-after details of a webinar that can make or break the experience. Blended learning allows a seemingly limitless selection of choices for how learning is transmitted to the learner! Do you know how to weave together the best possible delivery strategies into a cohesive design? How do you decide which delivery strategy is best? In this webinar, you will learn how to use Bloom's Taxonomy and learning verbs to analyze learning needs for the purpose of media selection.